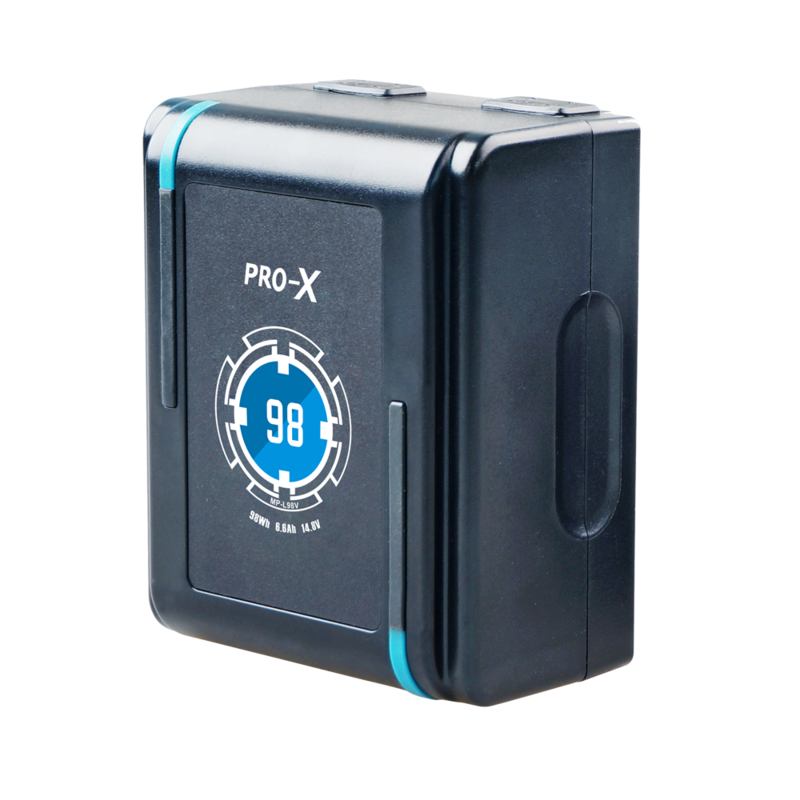   Compact enough to fit into a camera bag yet versatile addressing all PRO-X batteries simultianeously.   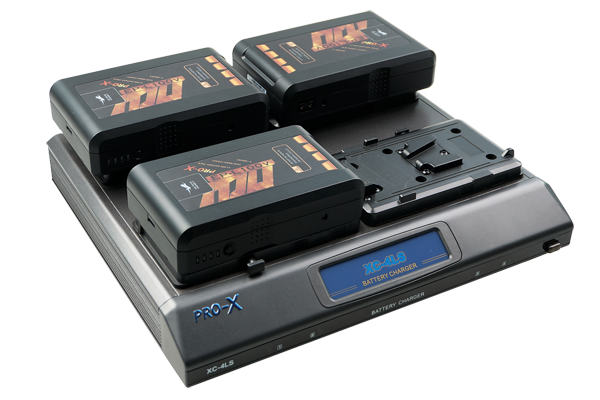 Trickle charge maintenance program ensures the batteries are always at maximun capacity. 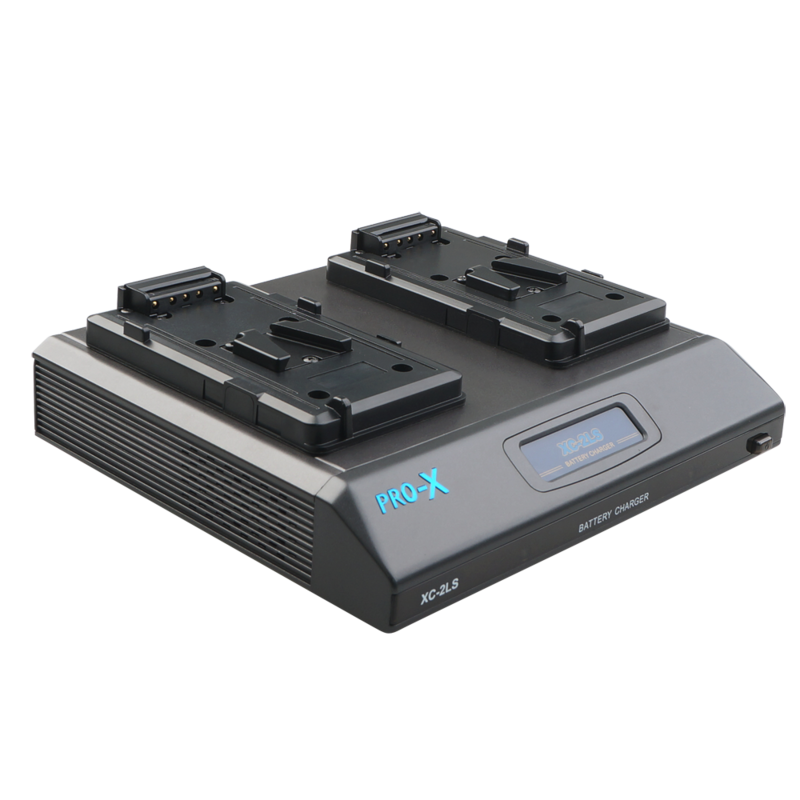 Automatically addresses all chemistry types while being able to completely charge batteries 25% faster than the GP model.    PRO-X brick style is programmed with all the charge routines including the maintenance program. 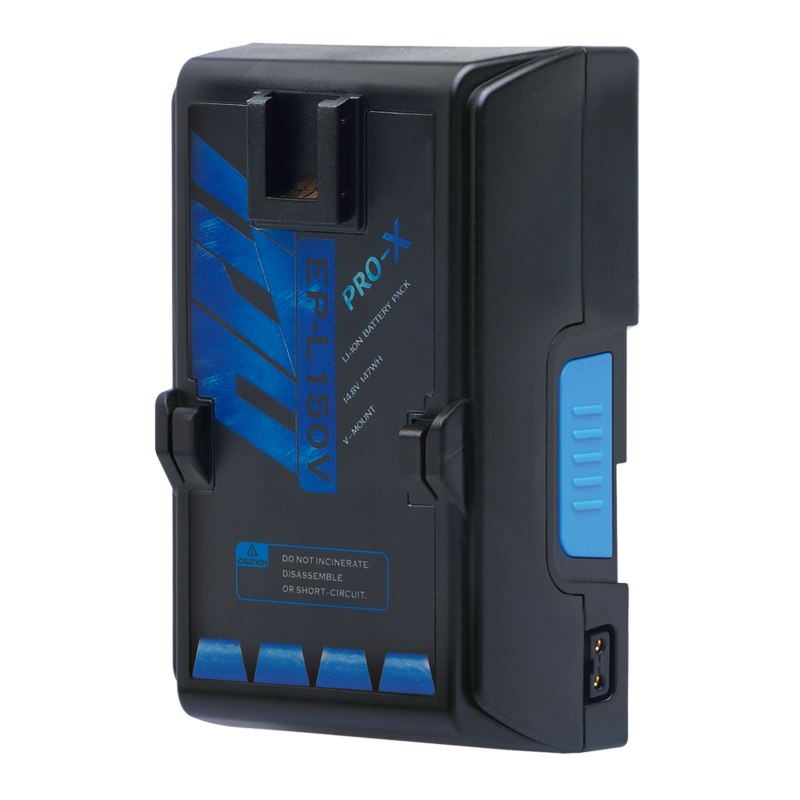 Ideal charger for those that find it essential to cycle many batteries throughout the day. 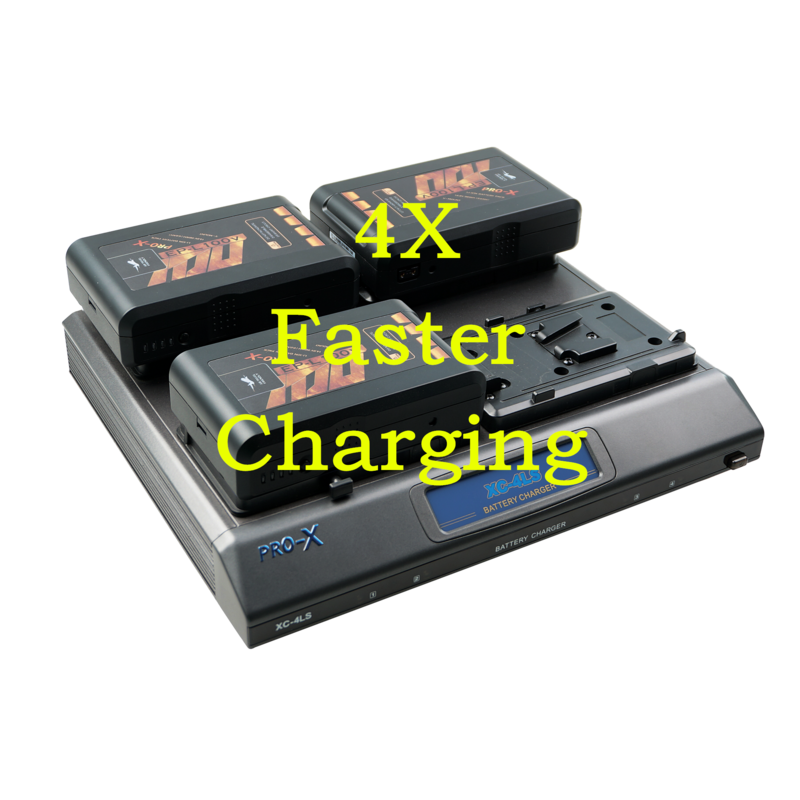 Utilizing all charge routines, PRO-X brick style charging efficiency is among the highest in the industry compared to other chargers. 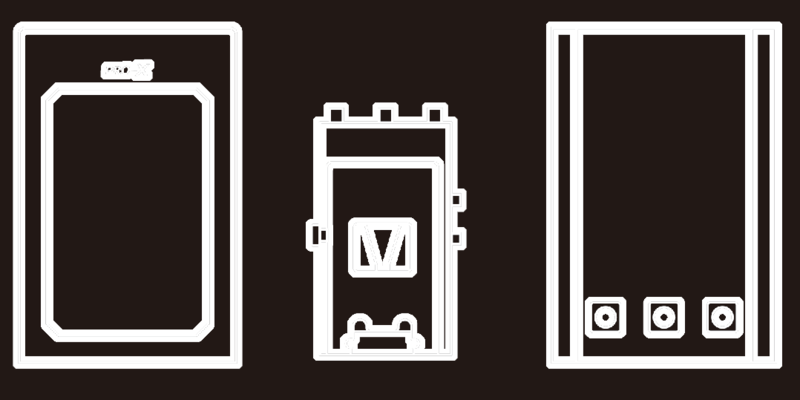 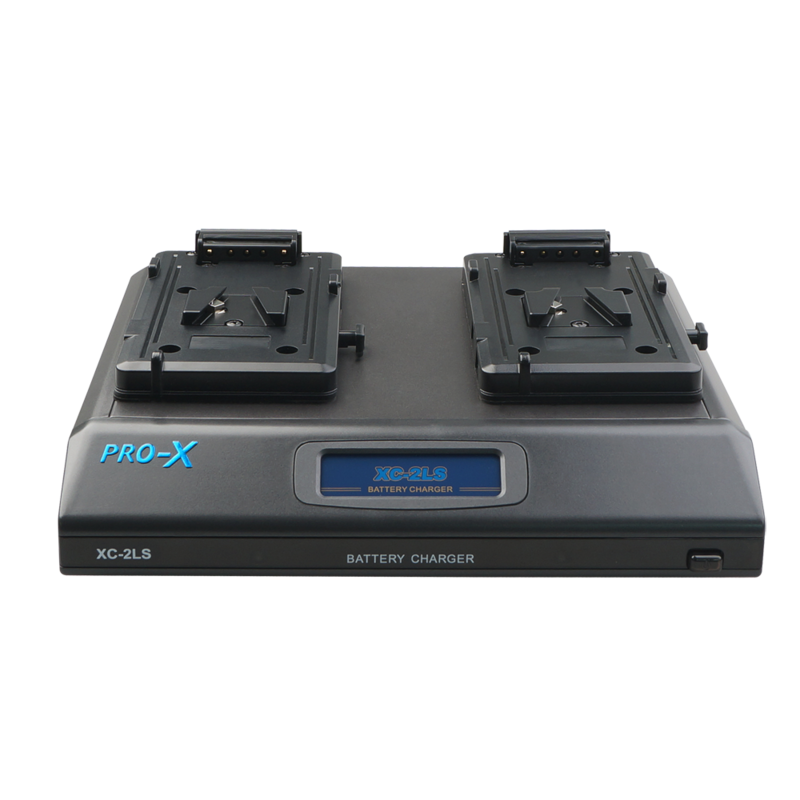 Regardless of model, all brick chargers within PRO-X series have the ability to charge all batteries at the same time.  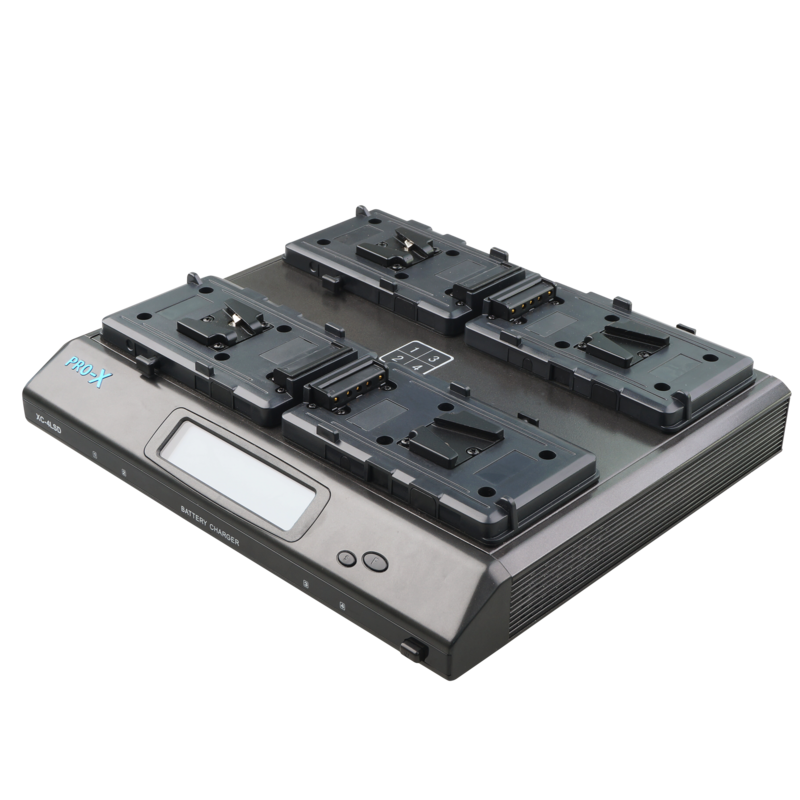   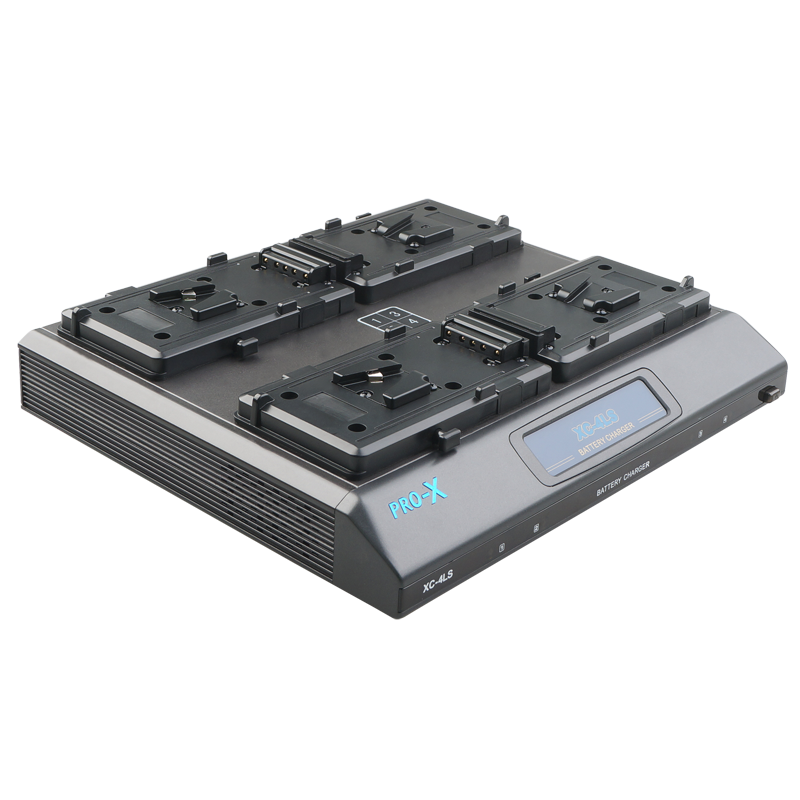    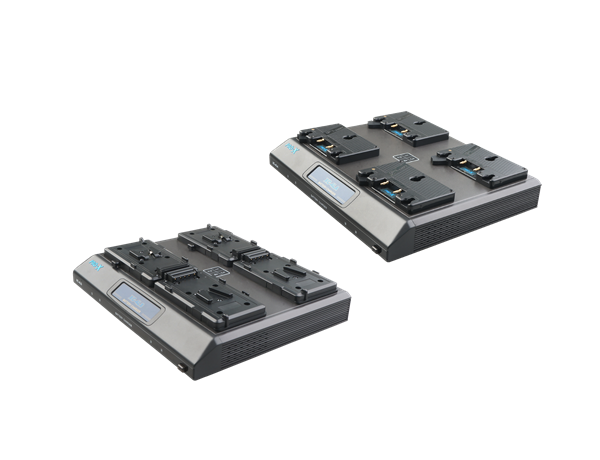 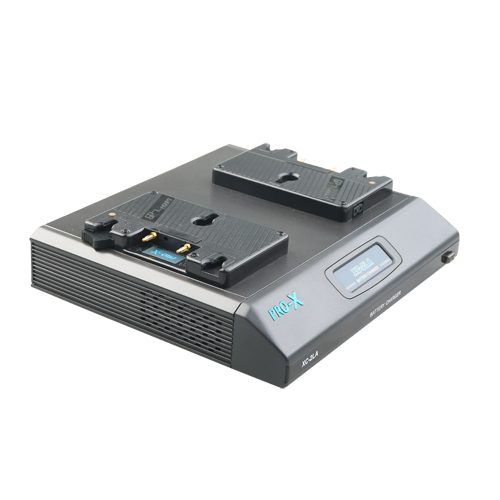 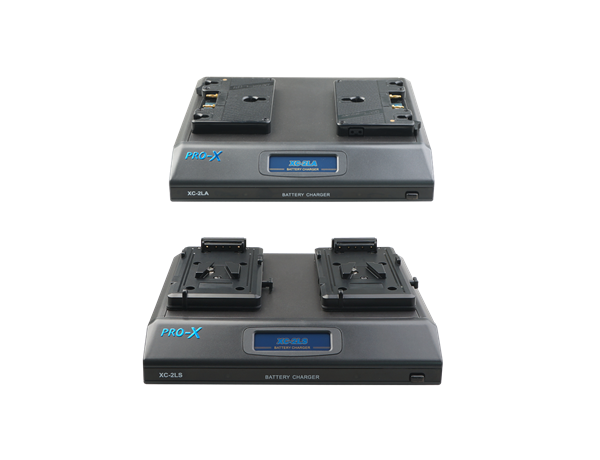 Compared to some sequencing chargers, PRO-X Brick Style chargers can be up to four times faster. 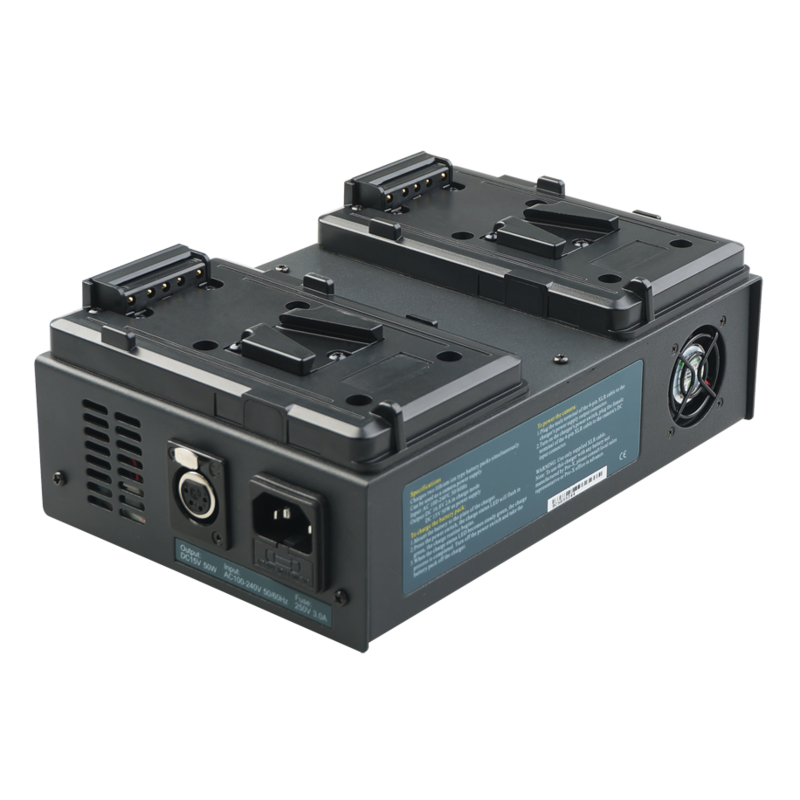  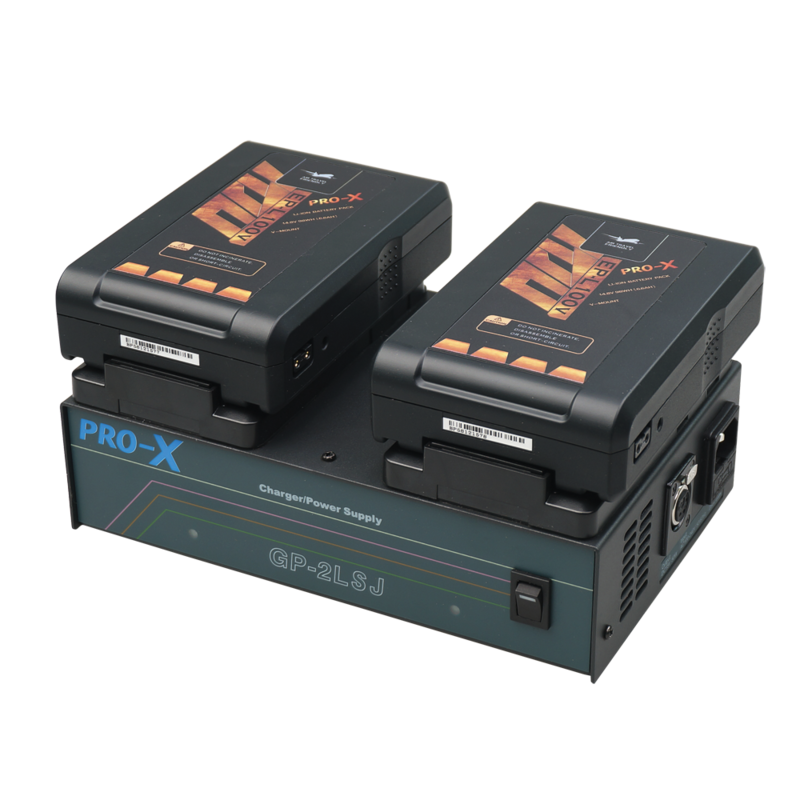 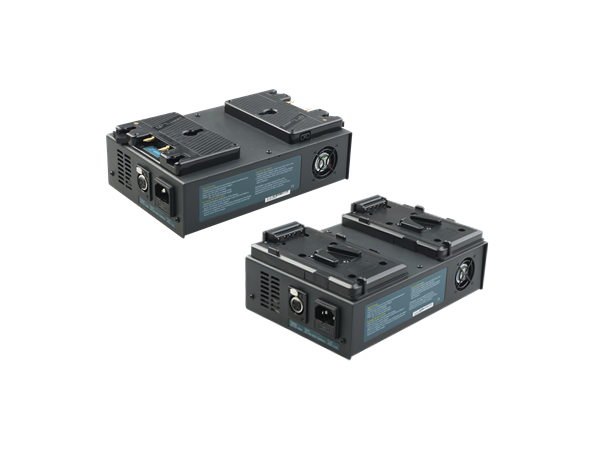 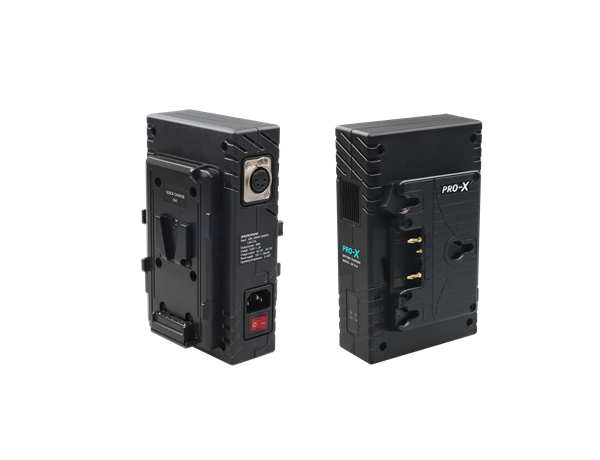 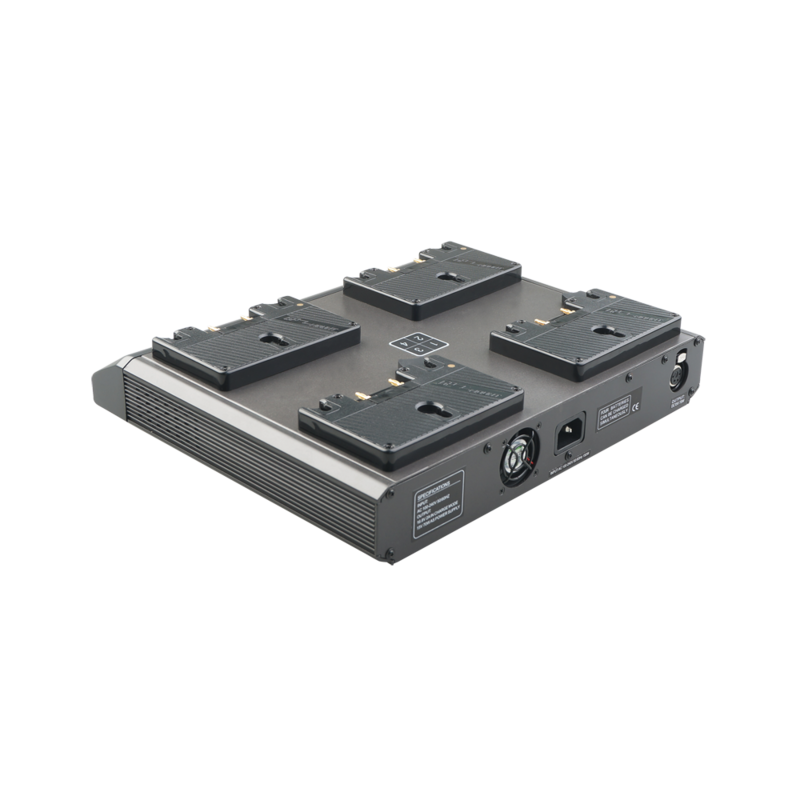 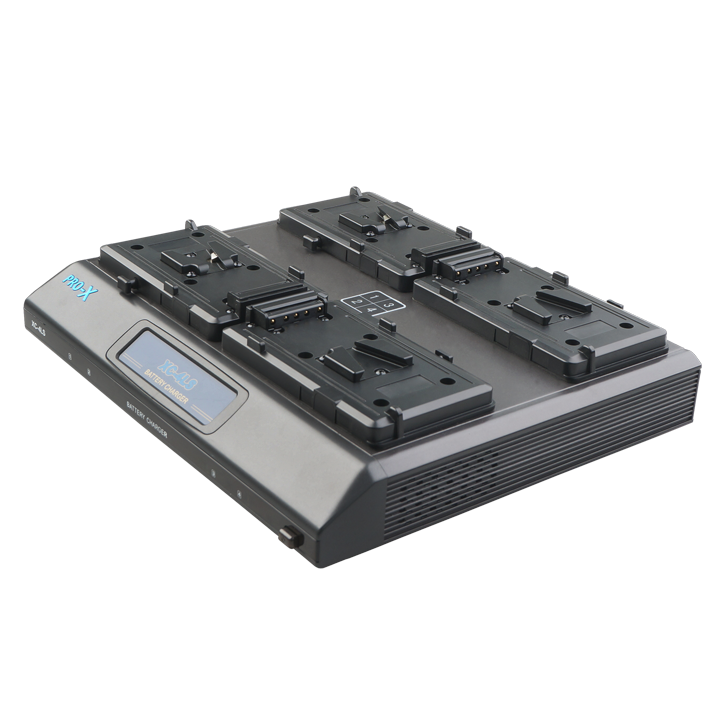 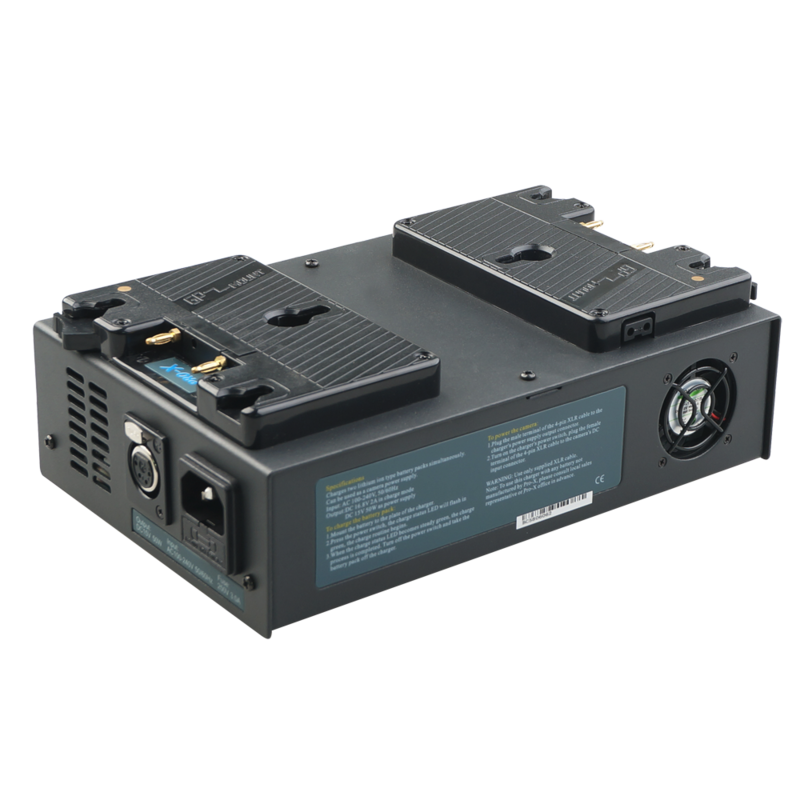 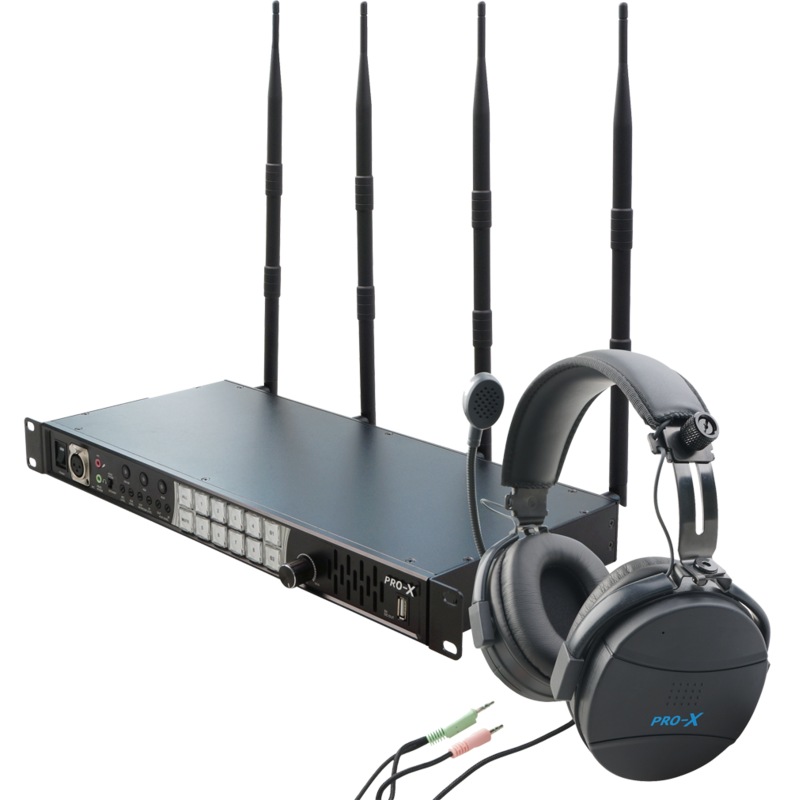 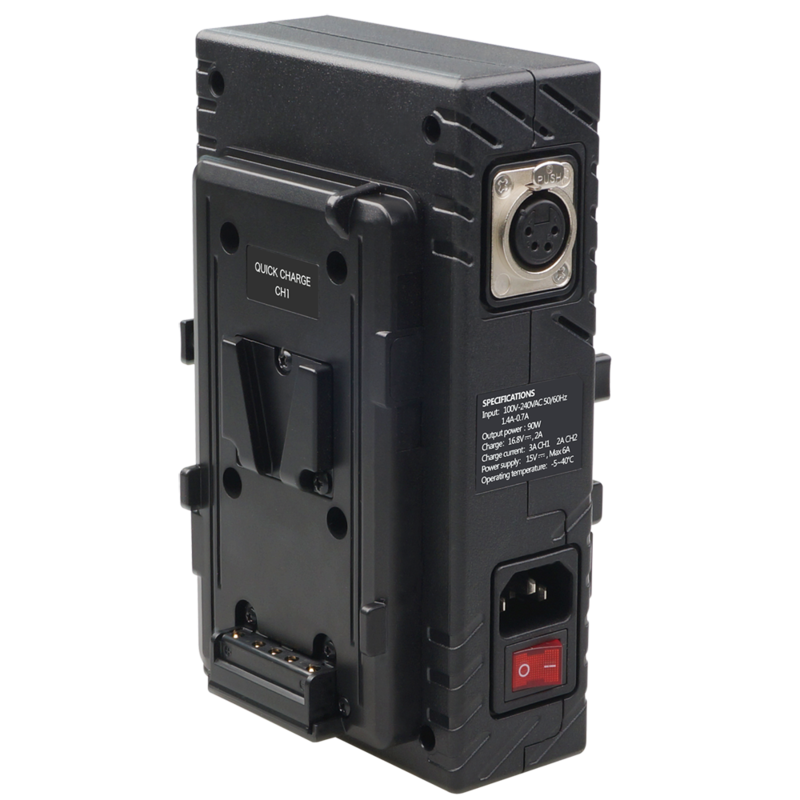 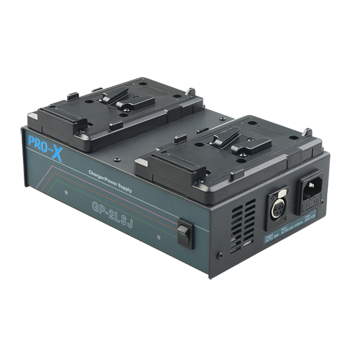 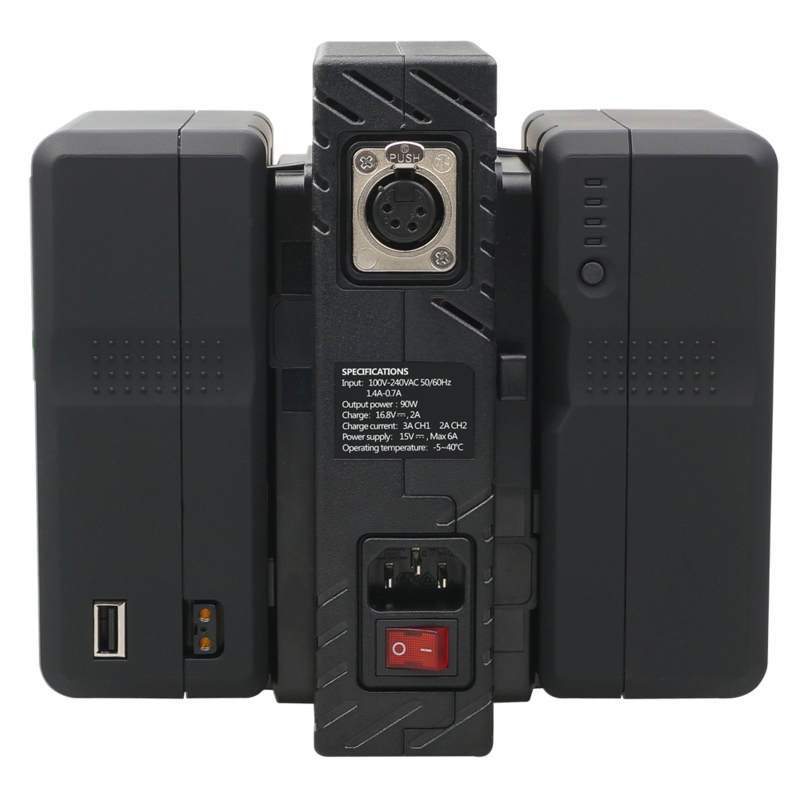 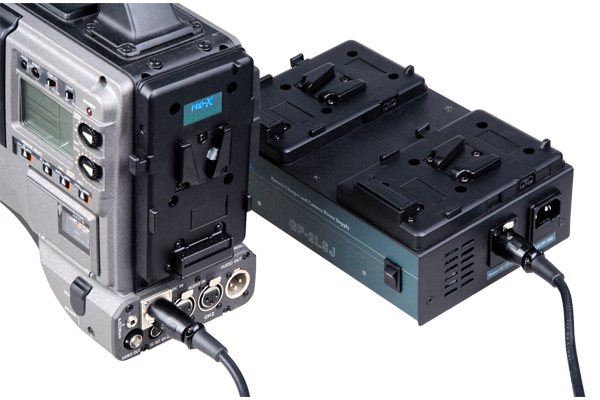 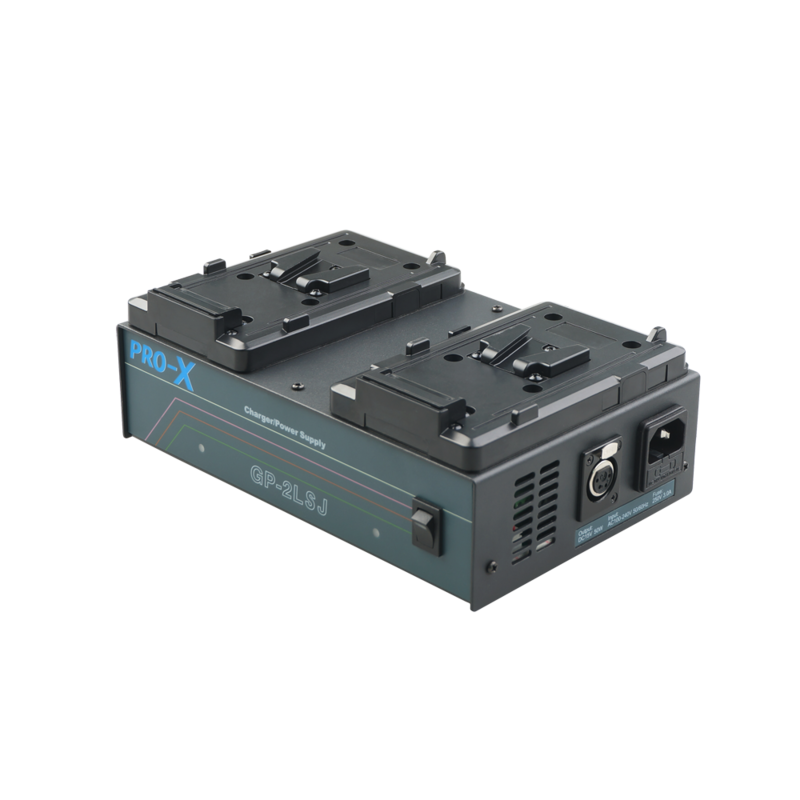 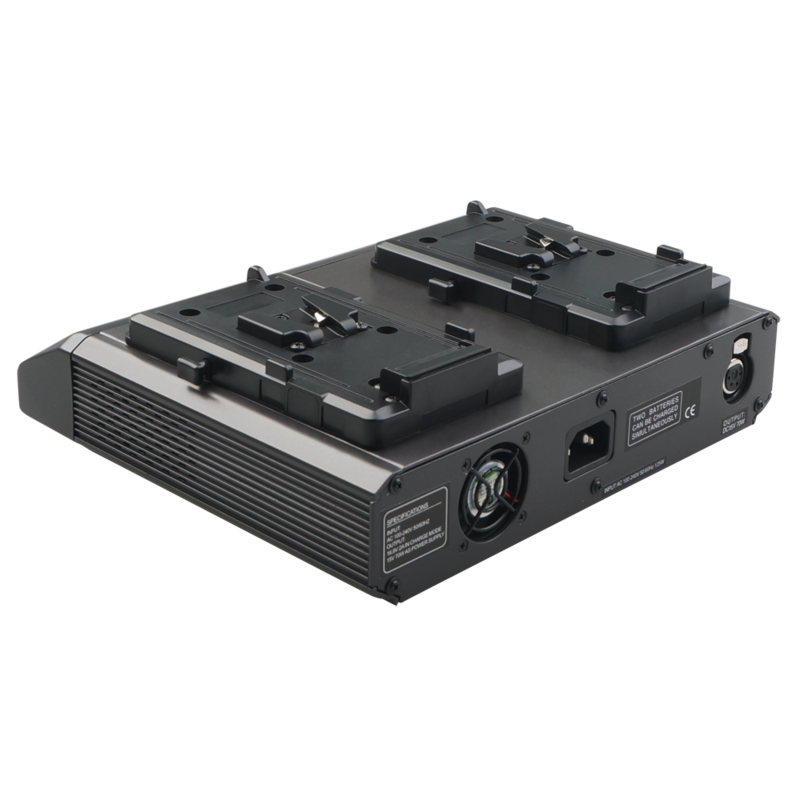  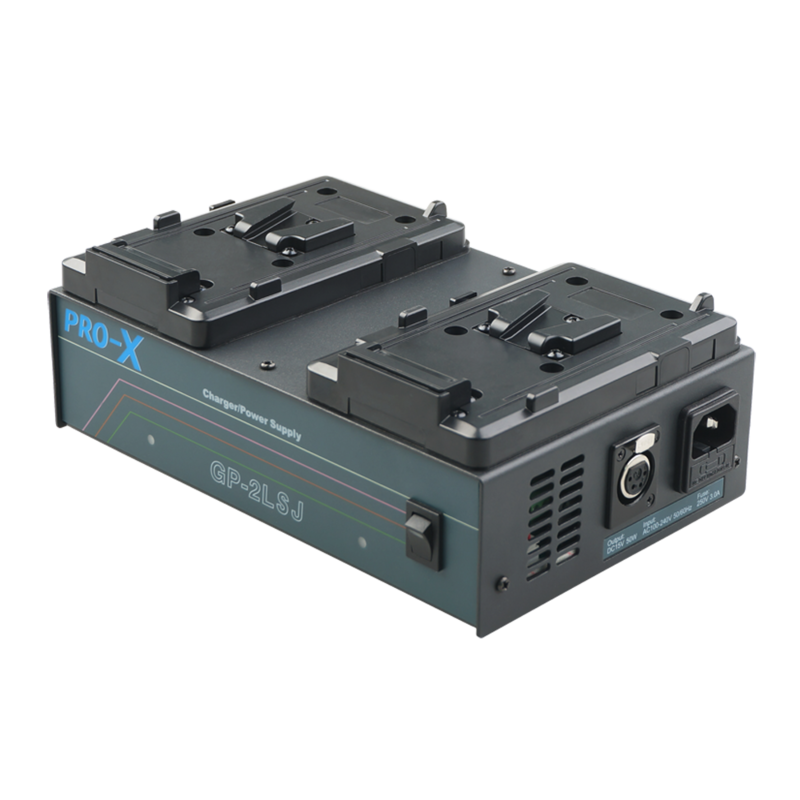 PRO-X Brick Style chargers are outfitted with a 50(GP), 70 (XC 2- Channel/100 (XC 4- Channel) watt camera power supply suitable for powering most professional broadcastcameras or other field equipments from an AC main.   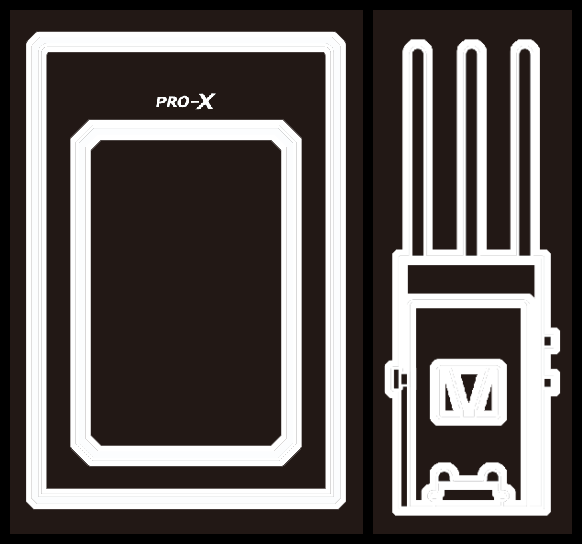 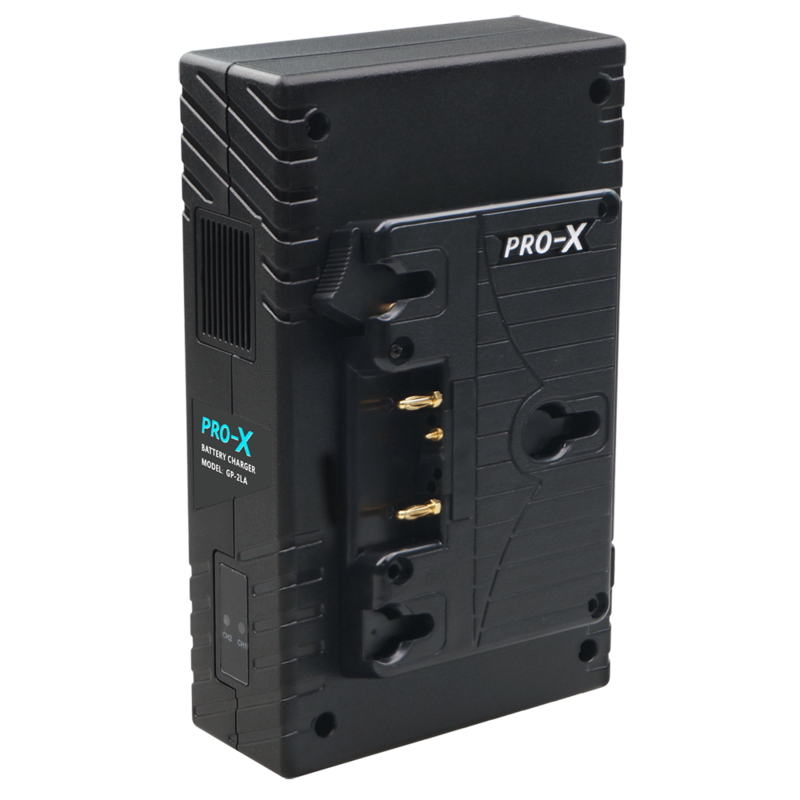 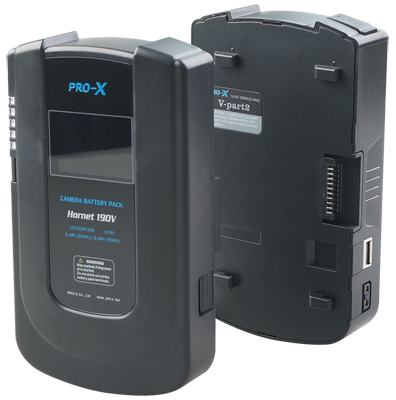     PRO-X Brick Style chargers employ technology to address NiCD, NiMH, and Lithium Ion. 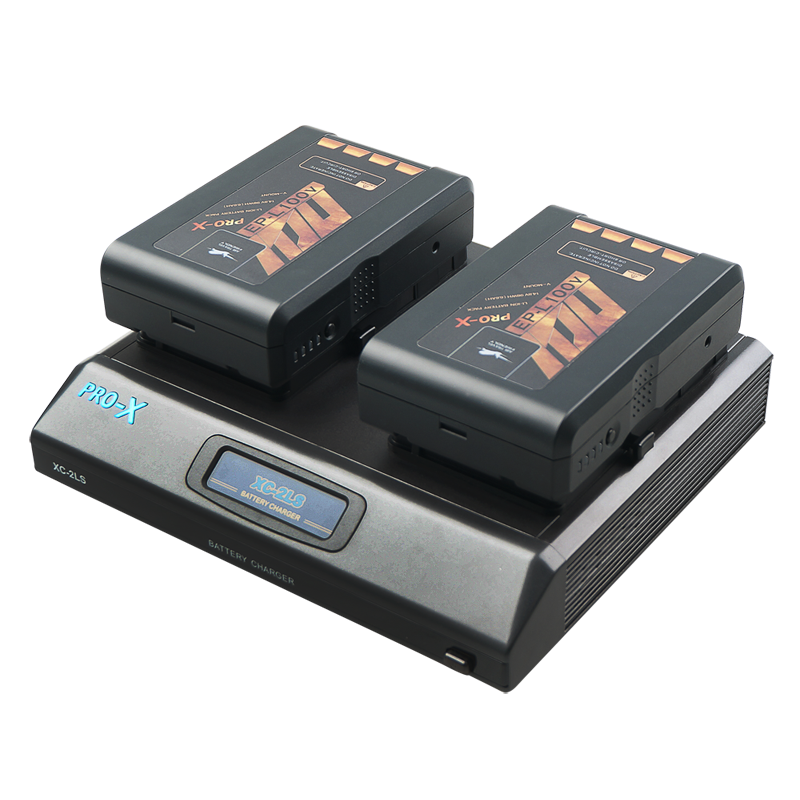 This enables the chargers not only to charge PRO-X XP and Intellicom batteries, but also batteries of other manufacturers. 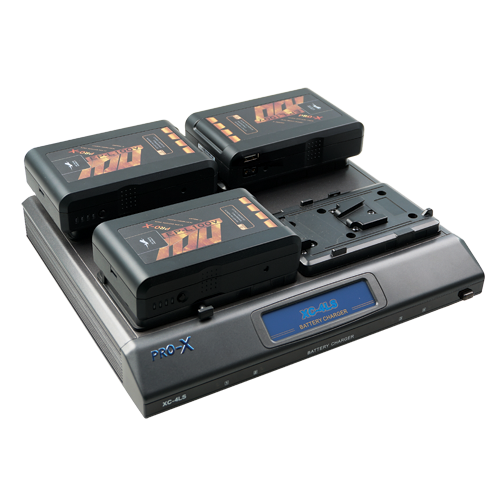 All charging models were designed so they could be easily integrated into your current battery system. 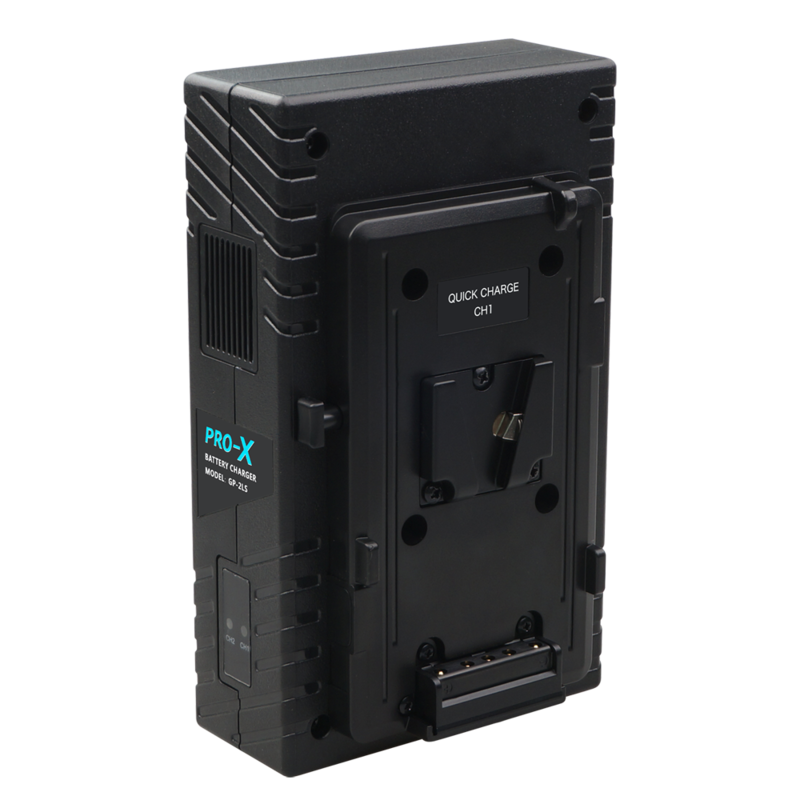 PRO-X Brick Style chargers offer quick charge current to reduce charging time.